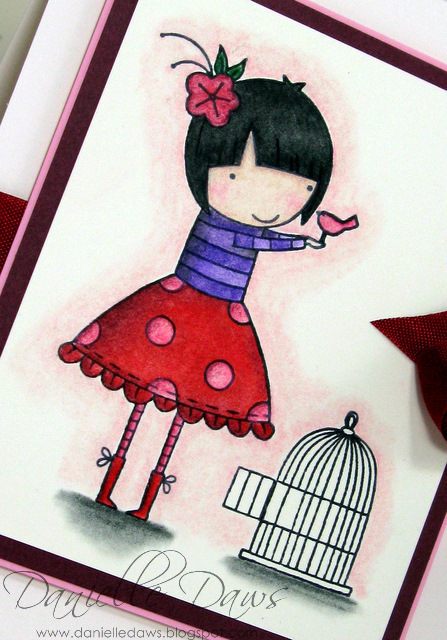 My cards are getting ridiculously CAS all the time... do you think I've used enough colour on this card?? and January Guest Designer, ME! 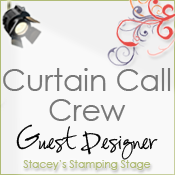 …then play along with us and post your Curtain Call Color Challenge creation using Mr. Linky back at Stacey's Stamping Stage. And the Wee Memories Anything Goes Challenge. This is adorable. I really like that image and the coloring looks awesome! So pretty. i thought i would pop in and let you know that i find your creations far from "ridiculously CAS" , i find your work to be clean yet very elegant, even my husband loves your work, as he states your creations are clean and not over busy, always finished off just right. OH my! This is so adorable and stunning all at the same time! This is true Danielle style that I so love! Gorgeous coloring!! Your colouring is amazing and that image is adorable! Great card! This is beautiful, Danielle! I love your coloring! Oh wow!! This is super pretty Danielle!! Your coloring and use of colors are absolutely fabulous! Fantastic take on those challenges! This card is beautiful. Love the image, love the colouring, love the CAS - no fuss, definitely the way to go. This is fabulous! I love your coloring, that yummy ribbon, & all that white space! SO happy you played with us at Wee Memories! 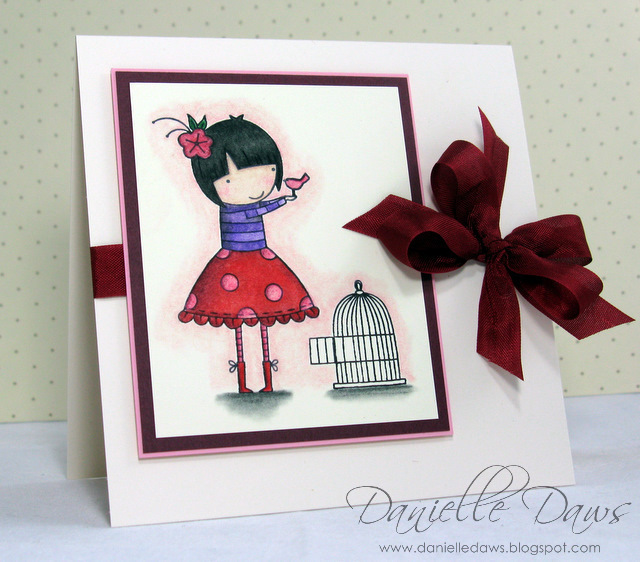 Beautiful card Danielle!! !Thank you for playing at the Sugar Bowl!! So pretty, Danielle! I just adore your coloring technique! 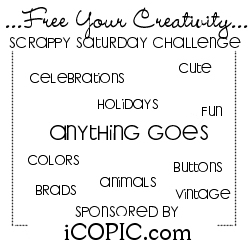 Thanks so much for playing along with us in the Wee Memories Scrappy Saturday Challenge! JAI52 - Better Late Than Never!! JAI50 - Another Tricky One! 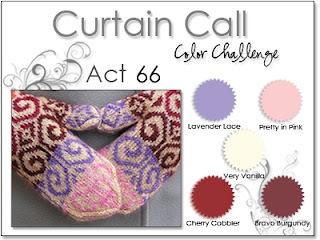 You Make Me Smile - Curtain Call Guest Designer!